Kornelius Herman Neufeld: church musician; born 10 December 1892 in Nikolayevka, Ignatyevo Mennonite Settlement, South Russia, the seventh of 14 children (including five that died in infancy) of Herman Abram Neufeld (24 June 1860, Jorkievka, Berdyansk District, South Russia - 28 September 1931, Winkler, Manitoba, Canada) and Katharina (Klassen) Neufeld (4 March 1864, Kronsweide, Chortitza, South Russia - 22 July 1940, Winkler, Manitoba). On 15 September 1919 Kornelius married Susanna Neufeld (4 September 1900, Nikolayevka, Ignatyevo, South Russia - 28 November 1970, Winnipeg, Manitoba), daughter of Cornelius C. Neufeld (1873-1945) and Susanna (Unrau) Neufeld (1874-1955). Kornelius and Susanna had three children: Susie, Anne, and Cornelius (another daughter, their firstborn, died in infancy). Kornelius died on 13 January 1957 in Winkler, Manitoba, where he was buried. K. H. Neufeld immigrated to Canada in 1923 and in 1924 established a printing business in Winkler, Manitoba. His passion for choral music soon became evident. He organized a choir of immigrants in 1924, became conductor of the Winkler Bergthaler Choir in 1928 and the Altona Bergthaler Choir in 1933. In 1935 he organized the Winkler Male Voice Choir. In the beginning he worked within his own Mennonite Brethren Church but was accepted more readily by groups like the Bergthaler Church in Manitoba and the Rosenorter Church in Saskatchewan. He was especially well known for his choral festivals, which he organized first in Manitoba and, after 1935, in provinces from Ontario to British Columbia and in a number of states in the United States. 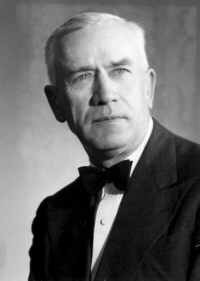 He was also instrumental in establishing the Southern Manitoba Music Festival in 1932. Beginning in 1944 and continuing until 1956, Neufeld was engaged by the Manitoba Mennonite Youth Organization to undertake systematic work in music in Manitoba General Conference Mennonite churches during the summers. He taught at the Swift Current Bible Institute during the winters of 1953 and 1954. Neufeld composed four cantatas for his own use at choral festivals in the 1950s and assembled collections of choral music he entitled "Singet dem Herrn." Known as the "Wandering Conductor from Winkler," K. H. Neufeld had a profound influence on the development of church choirs and choral music in the prairie provinces, especially in congregations and communities established by immigrants in the 1870s (Kanadier), fostering a love for choral music in thousands of Mennonite young people. Berg, Wesley. From Russia With Music: A Study of the Mennonite Choral Singing Tradition in Canada. Winnipeg, Manitoba: Hyperion Press, 1985. Epp, Frank H. Mennonites in Canada, 1920-1940: A People's Struggle for Survival. Toronto: Macmillan, 1982: 462-464. Toews, John A. History of the Mennonite Brethren Church, ed. A.J. Klassen. Fresno, CA: Mennonite Brethren Board of Literature and Publication, 1975: 252. Berg, Wesley and Richard D. Thiessen. "Neufeld, Kornelius H. (1892-1957)." Global Anabaptist Mennonite Encyclopedia Online. January 2012. Web. 18 Apr 2019. http://gameo.org/index.php?title=Neufeld,_Kornelius_H._(1892-1957)&oldid=93061. Berg, Wesley and Richard D. Thiessen. (January 2012). Neufeld, Kornelius H. (1892-1957). Global Anabaptist Mennonite Encyclopedia Online. Retrieved 18 April 2019, from http://gameo.org/index.php?title=Neufeld,_Kornelius_H._(1892-1957)&oldid=93061. Adapted by permission of Herald Press, Harrisonburg, Virginia, from Mennonite Encyclopedia, Vol. 5, p. 624. All rights reserved. This page was last modified on 23 August 2013, at 14:13.